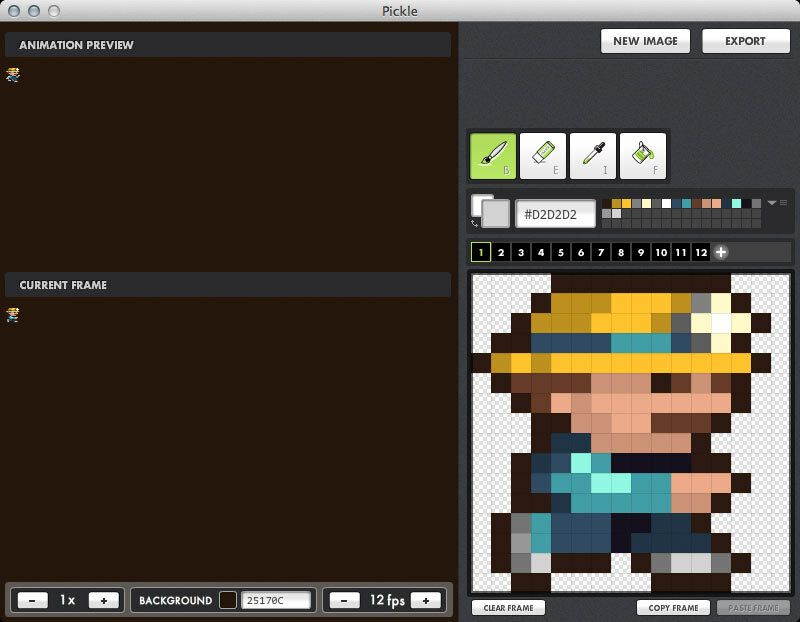 Pickle is a cross-platform pixel editor for creating game animations, tiles and sprite sheets. It is optimized for Flixel, but it loads and saves images in JPG, PNG and GIF formats so it can be used for other game frameworks as well. It has movable, wrapping canvas that helps reveal seams in tiles. It also allows you to import sprite sheets created in Photoshop or other graphic editing applications and edit them in Pickle. Set the tile width and height and Pickle will automatically create separate frames for your animation or terrain preview.